(as part of the registration process). Students work 5 days per month in a corporate work study position to earn more than 40% of their tuition. To learn more about the Corporate Work Study Program please click here. Students are also eligible to receive scholarships to offset the cost of attending San Miguel. 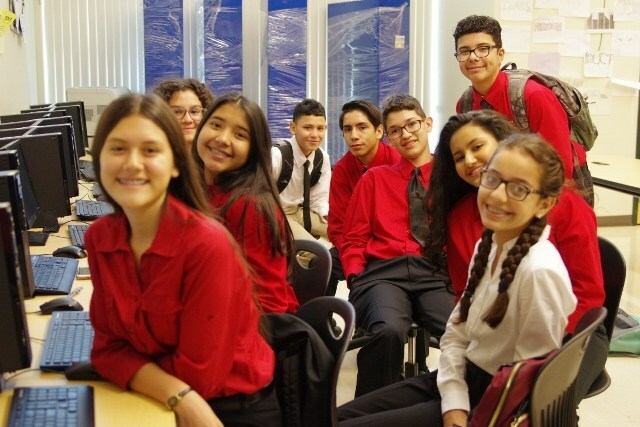 For further questions regarding tuition or financial assistance, please feel free to contact Marcela Kanae, Interim Director of Admissions, at admissions@sanmiguelhigh.org or (520) 294-6403 ext. 1110 or 1002. San Miguel is now using FACTS Tuition Management for all tuition payments. Every family needs to sign up here and choose a payment plan. There will be options for automatic payments or mailed invoices. Please contact the Finance Office if you need assistance getting set up at (520) 294-6403 ext. 1309.